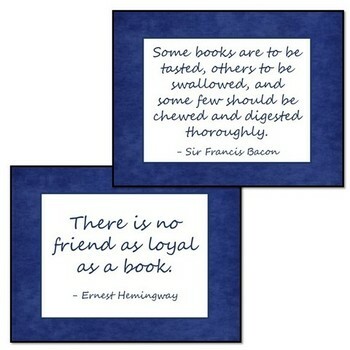 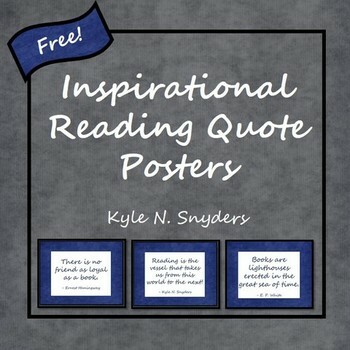 This set of six free posters contain inspirational quotes that are perfect addition to a reading teacher's classroom. 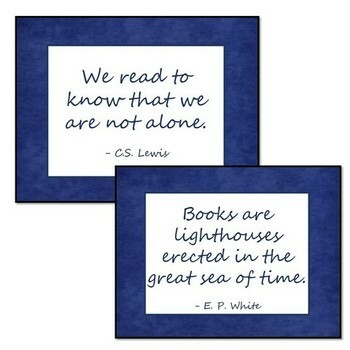 These posters on a blue background (by Digital Swirls Creations) are designed to be printed on 8 1/2 x 11 paper, and hung on a wall or bulletin board. 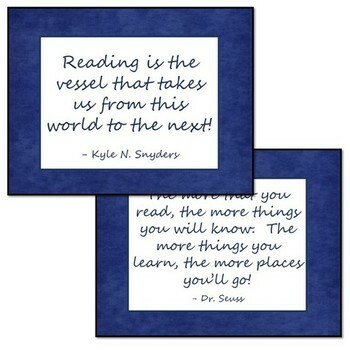 They are appropriate for an upper elementary, middle school, or high school classroom or library.